Nosapo published research reports on the cornerstone of human rights, forced migration, and advocacy. This accumulative perspective spotlights populations who stories are essential contributions to the current forced migration patterns of the world. This piece explores the influence of news reporting on political course and community sentiments of receiving refugees. It is juxtaposed to the author’s experiences as a German revisiting her home country and small home-town intermittently while she studied in the United States of America. Each visit insinuated greater change in the town and welcoming culture she first left. She questions why the dialogues shifted and what were the influences. A strategic geographical location and close ties with Northern Mediterranean countries have contributed to establish Morocco as a migration hub in North Africa. However, migratory pressures have also highlighted that deep inequalities and a strong influence of regional political tensions prevailed in the country, at the expense of the individuals’ rights and well-being. This short piece reflects on migration trends in Morocco, Moroccan migration policies, regional frictions, and their damaging effects on human rights. A short piece that focuses on the women and youth from the Northern Triangle of Central America, why they migrate to the United States of America, and why returning to their country after attempting to seek asylum or a safe life, there is a systematic lack of support tailored for these populations, and so the process works against their safety and their rights. The state of near-constant humanitarian emergency experienced by the Democratic Republic of the Congo (DRC) since the mid-1990s is not the result of a single strain of conflict but of numerous interwoven conflicts and political events that overlap and build upon each other. This report serves to examine the current climate of the country with respect to migration and human rights through the lens of the electoral crisis beginning in 2016 with President Joseph Kabila’s determination to hold on to power. 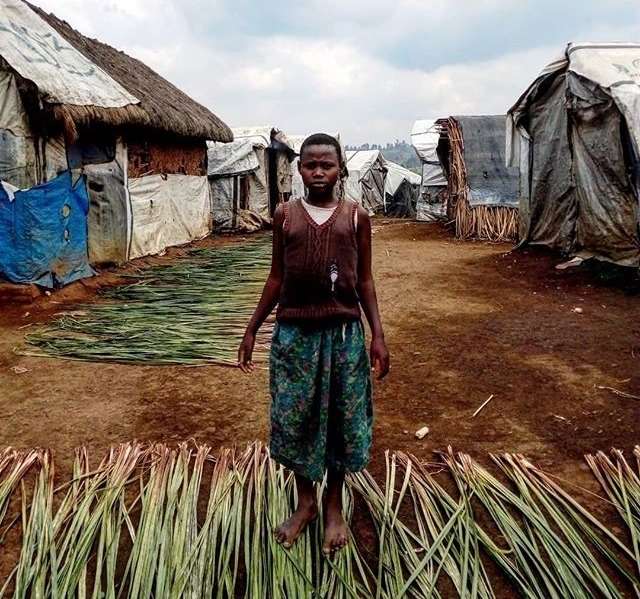 Documenting the human rights abuses committed amidst government responses to the electoral crisis, this piece captures the overall humanitarian climate of the country in 2018, and positions the crisis - whether it deteriorates or improves by the planned election date of December 23rd, 2018 - as a factor in the DRC’s current and future status. This piece provides a brief history of Eritrea, details on the main causes of flight by Eritreans today: The government’s National Service program, Arbitrary detention by the police and military, Denial of fair and free elections, Severe limitations on freedom of movement, religion, and speech; as well as routes out of Eritrea, and Eritrean Refugee and Asylum Seeker Populations in host countries alongside a graph detailing these populations in numbers of the past 5 years.